2003 Bob Hope Chrysler Classic official magazine size pairings guide from Saturday's fourth round. 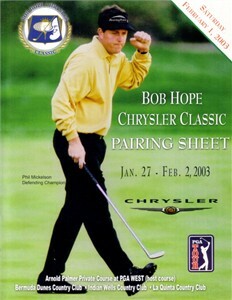 Features defending champion Phil Mickelson on the cover. NEARLY FLAWLESS CONDITION.